I watched the boy talk about his aquarium on YouTube. He was a scruffy one, all bedhead and unabashedly honest about the fact he was not great at making videos. His handheld camera shots made me queasy. His dead-air pauses would have been awkward had the boy not been charming to watch as the cogs whirled in his head, his unmade bed in the background confirmation he was human in his chaos. His chief male zebrafish was named Luke, and when he talked about how the adults eat their young, he paused again, performed a brief ceremony, his version of Taps. This is the face of young science. The University of Oregon researcher got tired of not being able to see inside the brains of mice. This was in the 1960s, mind you, before the MRI was invented, a tool meant primarily to look at the brains of people with demyelinating disease. Streisinger went down to the local pet store and bought himself a tankful of zebrafish. How random is that? I wonder if Dr. Streisinger had an aquarium as a child. How else might he have known about these amazing invisible fish and their accidental window into the biology of the human brain? You’ll have to ask the divine if this discovery truly was an accident. It wasn’t until after the turn of the 21stcentury that zebrafish became famous for their biological applications. Who woulda thunk. A stunning debut in Glia. Maybe the boy in the YouTube video already knew this. He talks about how to breed zebrafish because this is something he knows. I’m not sure he knows why, he just does. I’m sure he doesn’t need to know why. He spends his days staring at the frothy clusters of life-buoyed larvae stranded along the bottom of his standard-issue home aquarium. Once liberated from their capsules, these newbies are extremely hard to spot in their transparency. Make no mistake: he can see them. They are fairly ordinary with black stripes to justify the name. No galloping hooves, no long flowing tails, though the females have fins that look like the tails silver horses in canter. These aquatic pets are cheap to own, they spawn by the hundreds, and they grow quickly. What’s even more useful is that, until they are adults, stripe or no stripe, they are transparent. Scientists today keep rows and rows of hundreds of zebrafish to research drugs for neurological applications. Budgets for live foods like bloodworm and mosquito larvae have since become a regular part of Purchasing Department requisitions at research universities. The scientists administer their experiments directly into the tanks where the zebrafish live and breed. I wonder if they use pipettes or just pour the contents of their media in like milk from a carton. The fish don’t seem to mind swimming in artificial baths of semi-water under close conditions, occasionally ending up in petri dishes and under microscopes where the curious watch and wait, tag and record. Zebrafish are cheaper to breed and keep and can yield chemistry results far faster than mice and rats due to their accelerated growth cycles. A fat zebrafish female will spawn three hundred eggs outside her body, which are fertilized by males. Mice usually have only eight pups. One can infer how the hobby fish may eventually replace cages of lab mice in the basements of clinics, if only owing to the need for rapid consumption of test subjects. The clear oyster-colored bubbles that house the embryos of zebrafish can develop myelin on their nerve cells by day 3 postpartum, along with bulging black eyes that are blind until the larvae pop, wriggling and spastic, from their hatches. This is a modern miracle in biology. So fast, so clear, so captive. As many as 80 drugs per week can be tested using zebrafish embryos. Talk about fast track. Why zebrafish matter to science is not a question the boy on YouTube can answer. The zebrafish shares three quarters of his genome with human beings. How ridiculous it might seem to assume any relationship between man and fish except for imaginary freaks like the Creature of the Black Lagoon or, maybe, Aquaman. I wonder if the boy knows about the lost continent of Atlantis. He ought to. For research into multiple sclerosis, the mouse model has been, for decades, the only way to test therapies. As recently as 2017, a transgenic approach, which forces zebrafish to develop a kind of zoological MS mirror condition called EAE, was achieved. The lab rats may or may not be happy about this, since EAE has been the sword they’ve fallen on for generations. But they should be relieved, at least. 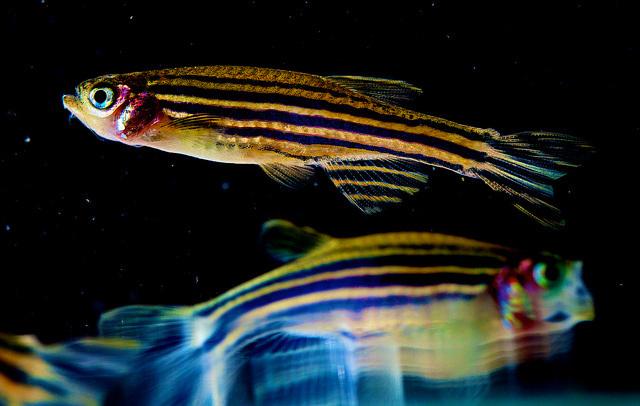 Using the zebrafish to test drugs for things like toxicity, dosage, and mechanisms of action first means the rodents will be spared the worst of the Frankensteinian failures. I suppose the boy who keeps fish might also become the boy who adopts mice. There is this problem of no answers when it comes to MS. MRI handed over some answers, which accelerated the journey to a cure back in the 1980s. Now that we can peek inside the brains of zebrafish, give them MS, and then—yes!—get rid of it! Unlike human beings, zebrafish are neurologically resilient when it comes to remyelination. It’s not all torture and genocide in the fingolimod* tank. The future of animal research includes secure jobs in the field of zebrafish husbandry. Maybe this will be the future of the boy breeding zebrafish on YouTube. Maybe he will go from wobbly hand shots and too much voice over to guardian over the protocol for colonizing his favorite pets using marbles and shallow water. He’s already showed us his lifetime supply of dechlorination tablets. Maybe it will be today’s third grader that becomes tomorrow’s cure for MS.
*Fingolimod is one of several treatments used to curb or prevent demyelination in people with MS. Image Credit: Uri Manor, NICHD. 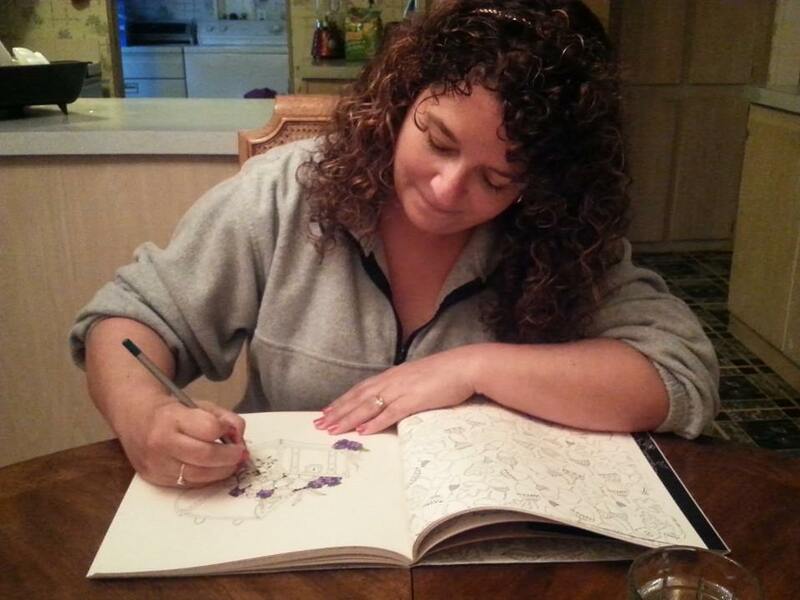 Tamara Kaye Sellman is a widely published writer living in Bainbridge Island, WA. Her most recent work has recently appeared, or is forthcoming, in 50-Word Stories, Something On Our Minds, The Nervous Breakdown, Halfway Down the Stairs, Collective Unrest, Postcard Poems and Prose, and Crab Creek Review. Her work has been nominated twice for the Pushcart Prize. She works as a sleep health educator, healthcare writer, and MS advocate/columnist when she’s not crafting creative prose. She was diagnosed with RRMS in May 2013, but suspects her MS-specific symptoms in 1975 actually mark its initial onset.